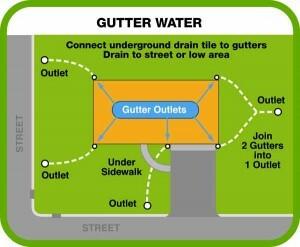 If you have a wet leaky basement, you have a water drainage problem. 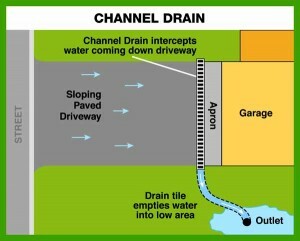 Proper water drainage is essential for a dry basement. 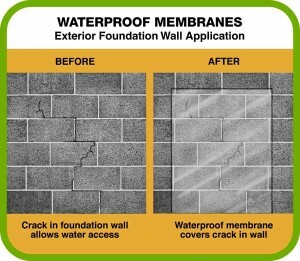 AAA Reick's Waterproofing uses proven exterior waterproofing systems for a dry basement. We work from the outside of your home at the source of your water problem so you can have a safe dry basement. 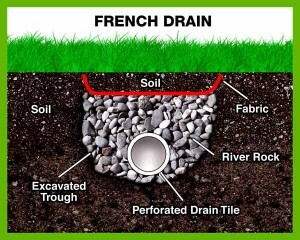 Regrading offers one of the best ways to shed water away from your foundation walls and divert it to an area where it can safely permeate naturally into the earth, and not into your basement. Areas directly around the immediate perimeter of your home, usually 3' to 6' out from foundation walls is the most important areas to regrade. We remove any landscape material in the area and can reinstall or replace these materials professionally at your request. 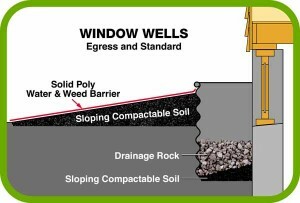 We install compactable soils the can resist settling through the years and complete the work with a solid polywater and weed barrier and decorative rock. 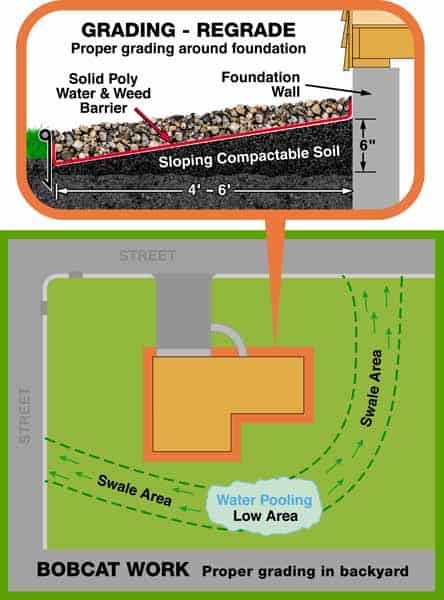 Other larger areas away from the home may be regraded with a Bobcat to create a swale to carry water away to a designated area or lower a high spot to allow water to flow out. 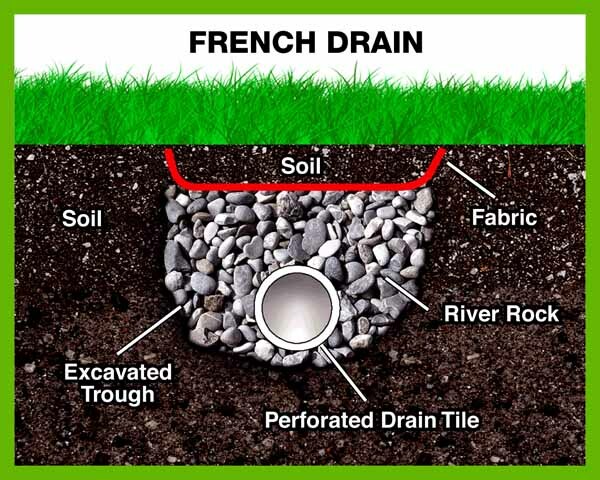 French drains are a good way to drain unwanted water from a low area in your yard. We start by digging a "trough" down the middle of the lowest spot in the problem area and leading downwards towards our designated area. 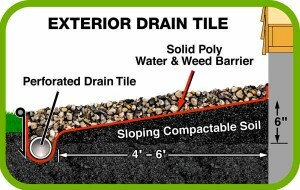 The exterior drain tile is installed along the inside of the edging that borders your decorative rock or mulch beds around the foundation of your home. The perforated drain tile intercepts the water before it can soak in and reroutes it to a predetermined location where it safely can soak in, away from your home's foundation walls. We use a perforated drain tile that has a fabric sleeve over it to keep it from plugging up with small particles that wash through the system over the years. Please keep outlets clear of snow, ice, and debris year-round. Membranes are used to seal cracks in the exterior foundation walls. Cracks can be caused by a poorly built foundation footing that allows a wall to drop or settle causing separation or crack in the blocks used to form your basement wall. After locating the problem area, we excavate to the crack and clean the surface area well and apply a special primer to assure a true bond with the waterproofing membrane that seals the crack. The area is then backfilled and finished with a proper grade away from home and any landscape materials are professionally reinstalled. 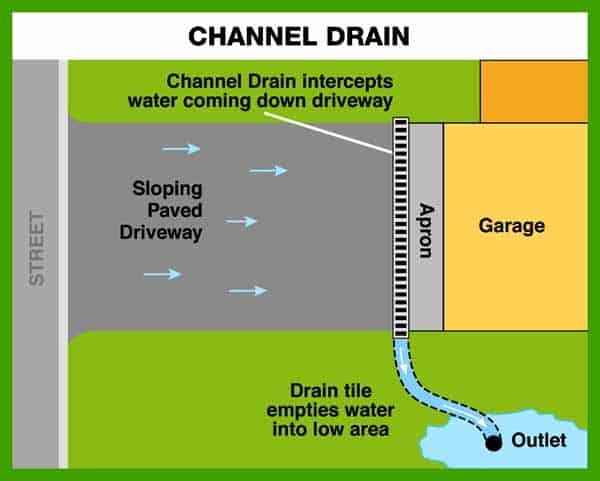 Channel drains are commonly installed along concrete or asphalt areas to intercept water similar to a French drain but made specifically for paved surfaces. They are extremely durable and meant to be driven over by motor vehicles. Gutter extensions often do not extend out far enough out from a home's foundation walls or may be missing altogether allowing water to pool up by your foundation walls and entering your basement. 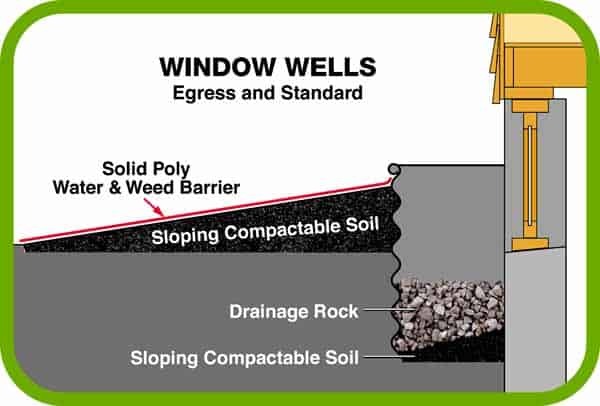 Before we can build up properly around the foundation it is necessary to install window wells or raise the height of existing wells to keep soil and moisture away from the window frame keeping it free from rot. Existing wells should be inspected for rodent holes and tunnels. It's not uncommon to find a mouse or a chipmunk digging in, or around window wells and concrete steps. These holes can drain water straight down to your footing and should be dug out, filled in, compacted and have the rodents removed. Often we add a small decorative wall block 4" by 12" around well top, without removing it, to give the height needed to build up properly around the foundation of the home.